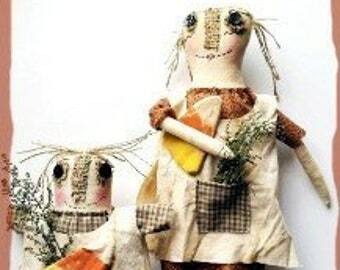 Primitive Doll Pattern Bright Eyed Fox Momma and Baby Primitive Cloth Doll Pattern Not finished item. Easy to follow directions for Momma and baby included in this instant down load. This fox Momma and Baby have been published in Prims Magazine 2014 Winter issue. 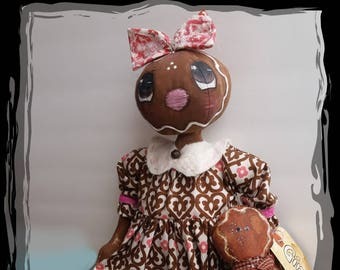 Note *** When you purchase this and other patterns of the Rusty Knob Prims by Designer Char Hosea you agree to the terms and conditions stated on my policy page. **Sign up for sneak peaks and new pattern and finished item collections at Rustyknobprims.com then add coupon code at check out for 20% off your purchase today. 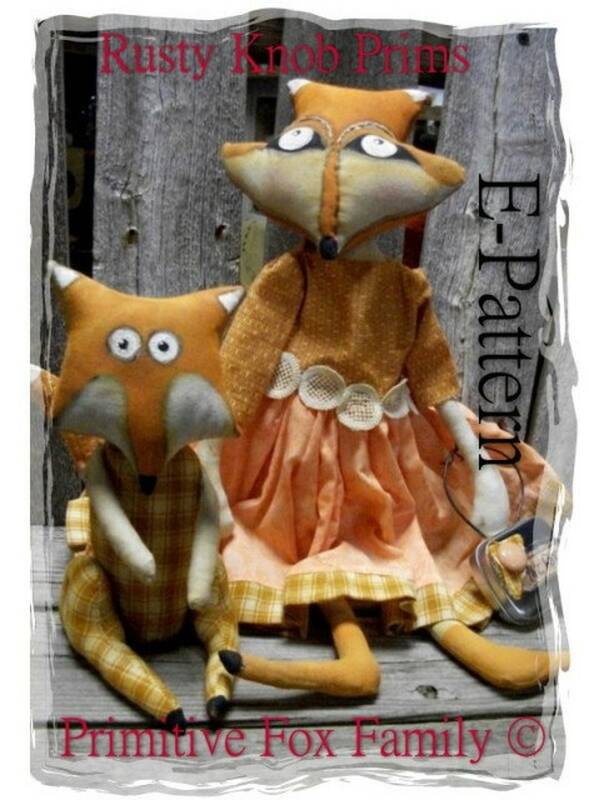 Cute fox pattern, I like the mama fox. Absolutely in love!! Great quality, extremely fast shipping. Amazing seller! Highly recommend!! Haven't made it but love its primitive look! Char’s work is nothing short of stunning. 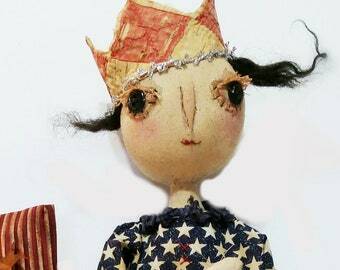 I am a new fan and already a collector with 2 award winning dolls and an Elf doll I couldn’t leave behind. They are artful, fantastic, expressive and brilliant. I’m sure there are more in my future! If you'd like to send a check, your item (s) will be shipped as soon it clears. With out insurance damages, losses, ect are your responsibility . Exchanges are accepted with in 7days of shipping date you pay all shipping fees. Special Name tags are available upon request not responsible for your spelling errors be sure to check and recheck your spelling.